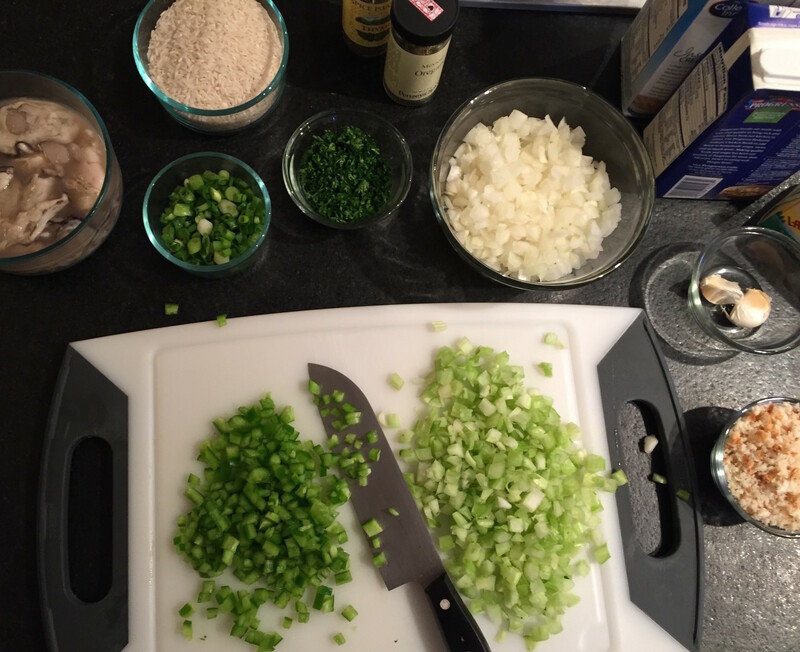 Serving of Craig Claiborne’s oyster and rice dressing recipe from the New York Times (1987). 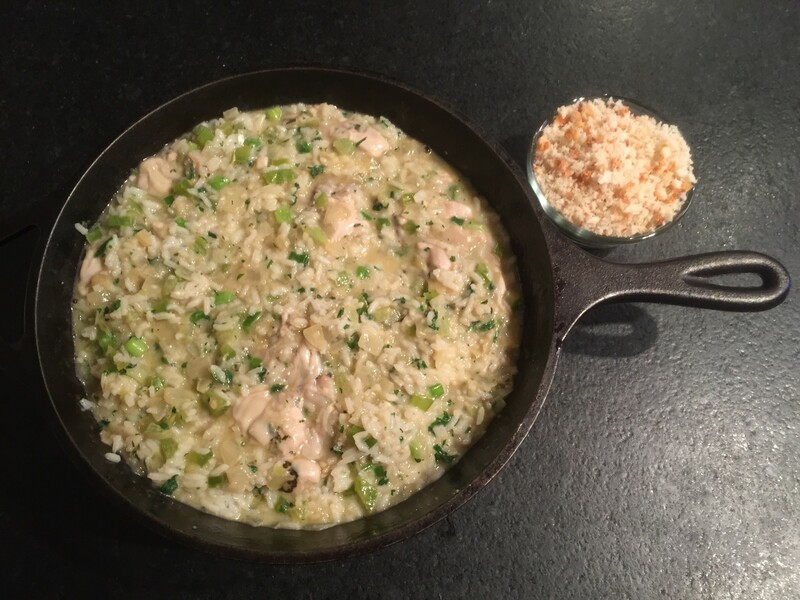 Oyster and rice dressing? 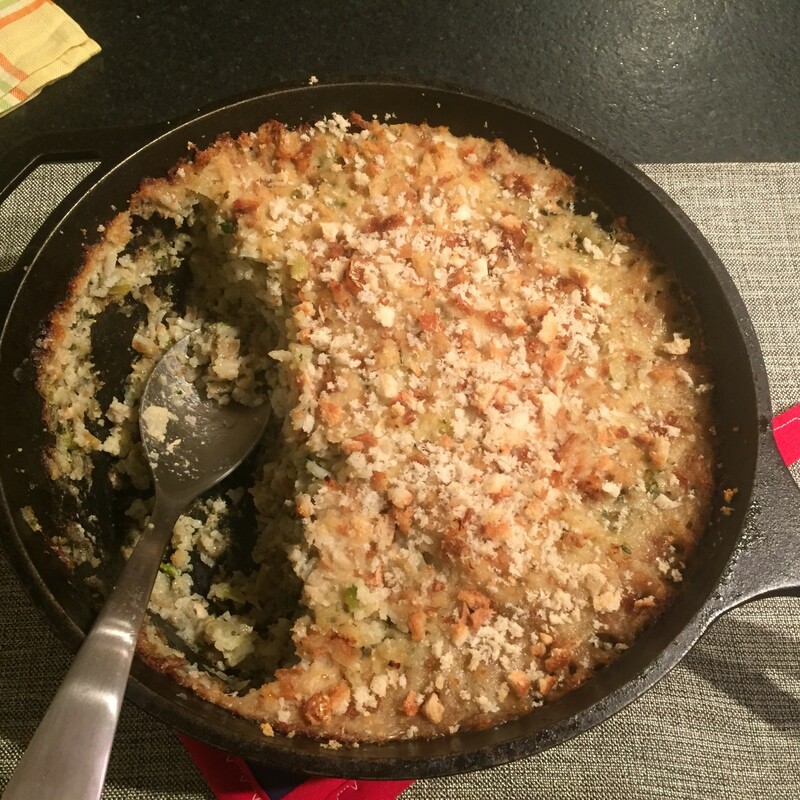 I grew up with cornbread dressing at Thanksgiving and Christmas (and sometimes Easter). Occasionally we would have dinner with someone who made a dressing with French or Italian bread, but I had never tried rice dressing. 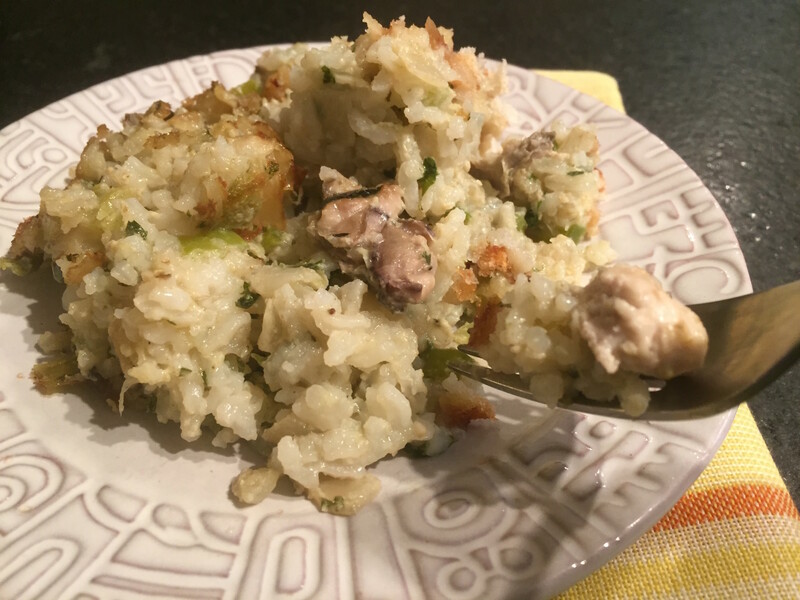 After hearing Oyster Obsession members from the Gulf Coast rave about oyster and rice dressing, I decided my first would be a classic, Craig Claiborne’s Oyster and Rice Dressing recipe from the November 1987 New York Times. It didn’t fail to please. The texture of the dressing was a pleasant surprise, much more like a rice casserole than traditional dressings or stuffings. And the taste? If you want oyster flavor, this is the recipe for you. Often, cornbread, sage and sausage will smother out the flavor of oysters in a dressing. Not so with this one. It is all about the oysters with fresh parsley and just a touch of thyme and oregano. 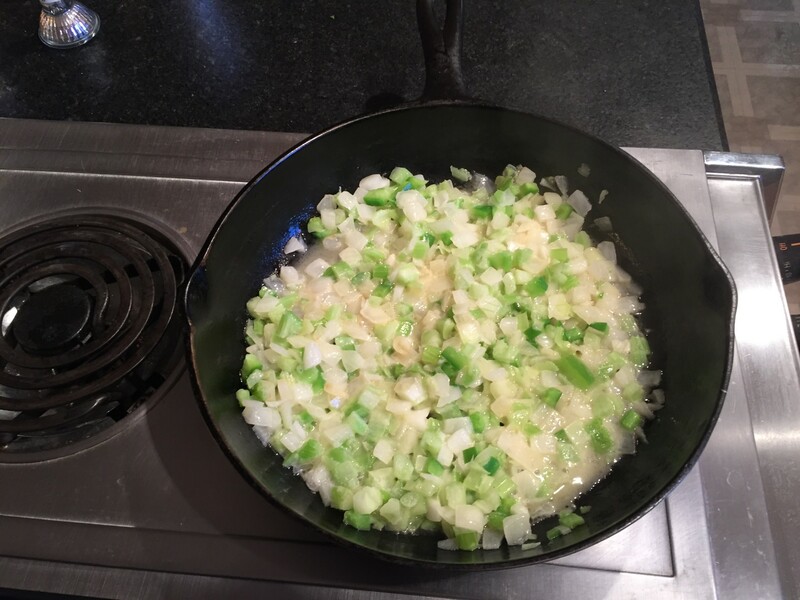 Cooking onions, peppers, and celery for dressing. Deep skillet filled with oyster, rice and trinity mixture, ready for breadcrumb topping. Dressing hot from the oven. This deep skillet recipe makes 10 – 12 servings. The original does not tell when to add the rice (Yikes). Add the rice to the dressing mixture at the end of Step 4. I used butter in the place of margarine. Also, the recipe required more than 40 minutes of baking. The actual time was closer to 60 minutes, but I was using a deep cast iron skillet. It would probably cook much faster in a more shallow casserole dish. It would also make more crusty edges (which I love). Get the biggest variety of oyster dressing recipes from your favorite magazines, cookbooks, chefs and food blogs. 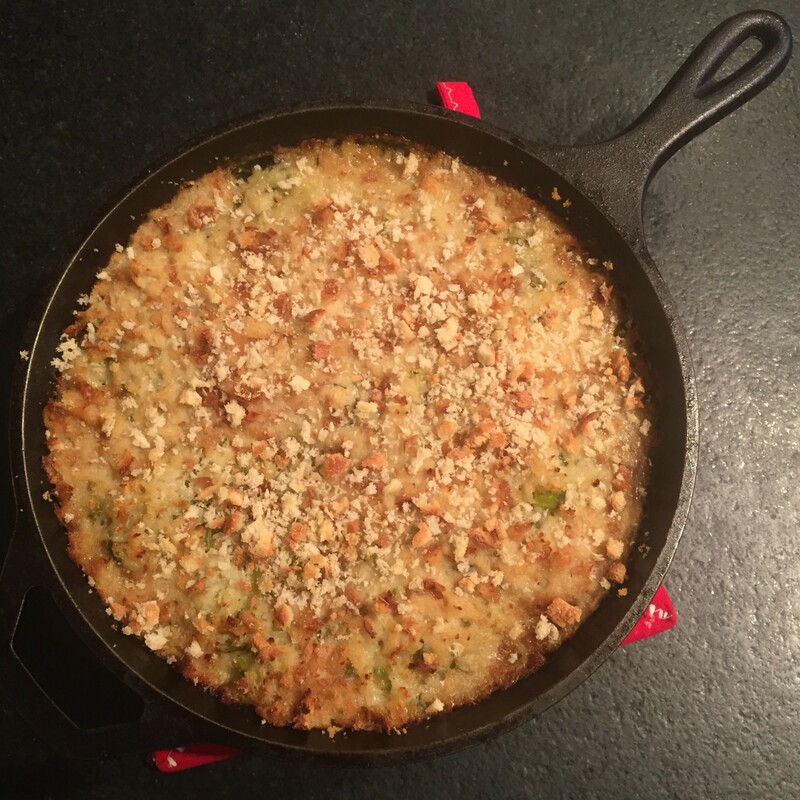 We’ve got recipes for cornbread oyster dressing, crabmeat oyster dressing, oysters Rockefeller stuffing, oyster stuffing cakes, smoked oyster dressing, oyster biscuit dressing and more.